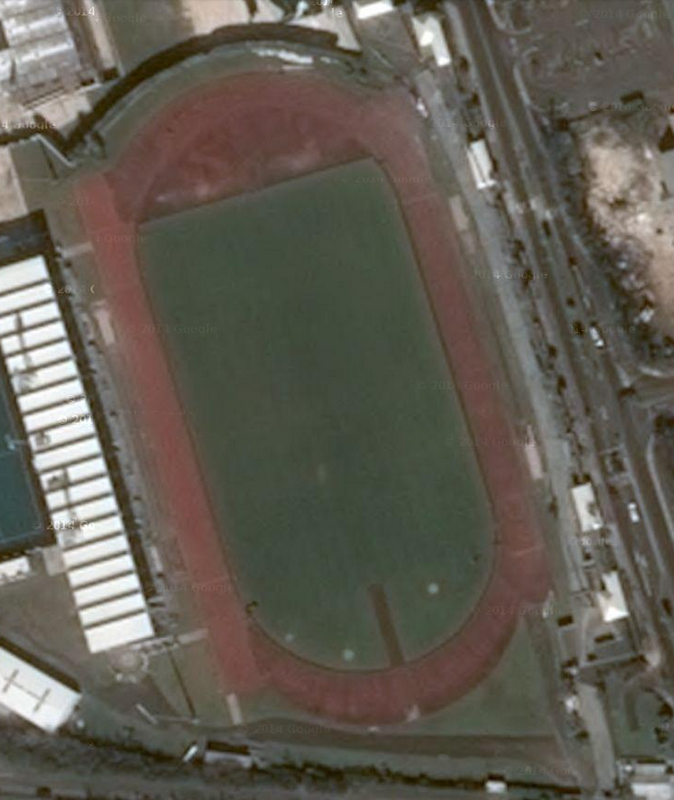 The track today is found inside Bermuda’s National Stadium, which is part of their National Sports Centre. The original stadium was built here in 1956. The track is a very nice red synthetic surface, and it has been used for several big meets over the years. 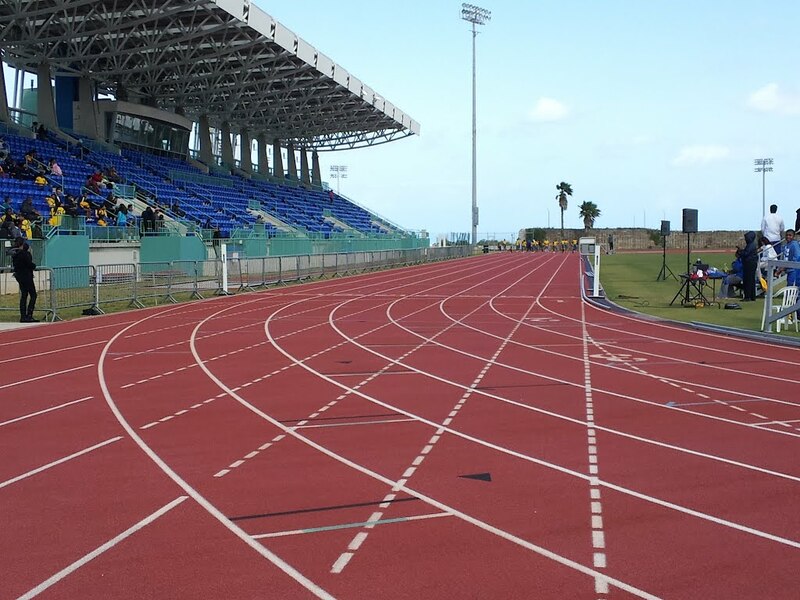 The Bermuda National Athletics Association is also based out of this facility. There are eight full lanes here, and as you can see in the photo below that was taken in 2012, it is in great shape. There are two runways for the long and triple jumps, with a pit on each end. One is outside the main straightaway, and right in front of the grandstand. The other is outside lane #8 on the backstretch. The rest of the field events are contested on the inside. The track here, as well as the entire complex, looks pretty nice!